Pre-Launching the SF Casting defects app on your mobile phone ! Yes, we’ve worked hard and in the coming weeks, we have a first working version for you to try on Android mobile phones and iPhone. For a limited time, we are offering the app for free to foundry metallurgists and to students in foundry metallurgy who want to help us test-drive it. Are you interested ? In exchange, we’re asking for appreciation , pros and cons, comments etc. This month, we’re testing phase 1. We can’t wait to be ready for phase 2 and 3! For foundrymen, you can contact our expert Yohan Tremblay anytime through the app to share a picture and discuss a defect you wonder how to eradicate. Maybe you’re not sure about which casting defect you’re looking at ? Just let us know and we’ll happily work to find a solution with you. Wrong casting defect remedies lead to more defects. The first step is to diagnose the right defect. You need to be sure about the defect in order to avoid additional problems with wrong modifications to the process. Phase 1 is a user-friendly casting defect encyclopedia in your pocket. It makes a casting defect classification content with general casting defect remedies available on your mobile phone ( android and iPhone ). Our programming architecture, which we’ll continue develop and own, let you use any classification you want but right now for testing, we use the classification from the most popular International Atlas of Casting Defects republished and translated by the AFS in 1993. You surely know that book, originally published in french by the International Committee of Foundry Technical Associations in 1952 . It has its pros and its cons, we know, but it will do for the testing phase. Would you like using your own, genuine classification with your own casting defect pictures, with solutions according to your own casting process ? Let’s do it ! Furthermore, we are not settled yet if we’re going to partner with another organisation or continue develop the app on our own. We’re open and had discussions with Universities and private corporations. On one hand, there’s the idea of using our original content and experience backed by literature and industry experts we know who believe in our project. On the other hand, using a recognized classification may be more straightforward for foundry metallurgists? Three screenshots of phase 1 ( AFS classification ) : Left – Home of the seven main casting defects families; Center – Details on a given casting defect ( description and typical remedies; Right – Textbook or your custom-built casting defect picture library. French version for our clients in Québec and interested users in Europe will be available soon. For now, phase 1 will be in English in order to reach a worlwide audience. Data available live anytime on the foundry network for managers, techs, etc. Let’s jump together into the mobile application world to answer needs in foundry process improvements and metallurgical education. Phase 1 is a good start for education and general foundry-floor support, phase 2 will really add value by actually collecting and using the data. Finally, phase 3 will go further with more in depth expert’s procedure. Of course, we’ll be improving the content with app updates during every phase. Let’s continue reading casting defect reference books still, we believe our app is much more user-friendly for the foundry floor. It’s the link between the foundrymen and the reference books and the industry best practices. Plus, we consider that skipping the paper-notes and archiving data directly from the foundry floor into the computer is a significant gain in time and in process control. Finally, foundrymen will have an efficient way to collect and use data from their casting defects to improve their foundry process. And we include ourselves here through our metallurgical services to foundries ! Following the demand from foundry metallurgists using our app, we’ll develop more tools to increase foundry efficiency for more profit. Quality data is everything for your experienced foundrymen. 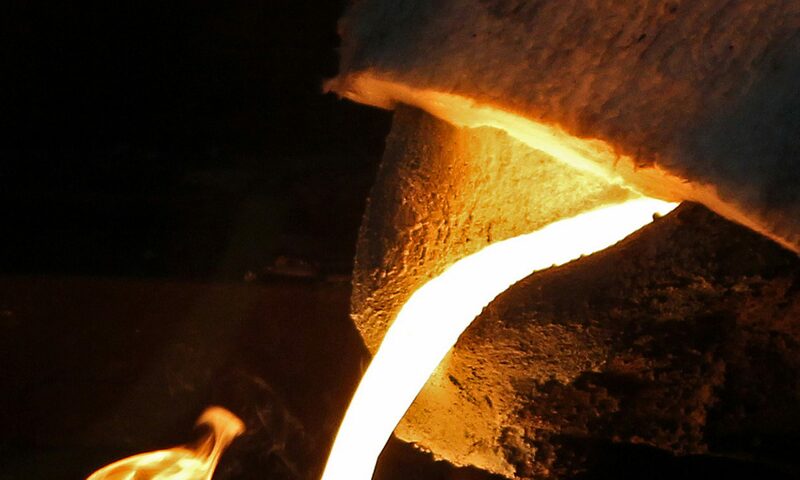 Next article will be on working with the foundry accountant to build a casting defect value indicator, or on ladle and furnace calculation software for more stability in the melt. We have great projects here at SF for the foundry industry, come work with us ! Previous PostPrevious Were you at the University Laval event on the physics of Thermal Analysis? Next PostNext What is shrinkage casting defects ?